Sunset or blue hours, nice moment to shoot a picture. I shoot that Grand Mosque of Baiturrahman in Banda Aceh. 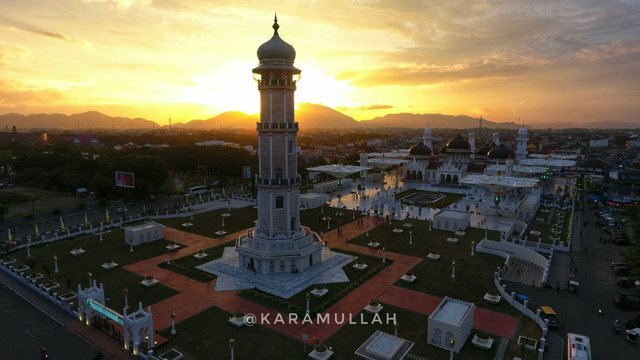 This mosque is landmark for Aceh.